Achieving the task of converting high art into a tightly arranged pop song, or otherwise, has long mired artists heading into the crossroads of their careers. That thought surfaces into awareness once such artist evaluates how they aligned their path from the start, and is more so a decision made to break out of redundancy rather than the aspiration to make something remarkable. Celebrated Brooklyn band Grizzly Bear began to hit their stride as a fully formed component with Yellow House, a fragmented masterstroke of delirious wonderment that somehow managed to think outside the narrow parameters of commonplace indie folk. It was a challenging offering coming from a rising band, skillfully testing out quaint convolutions amid the contrast of pastoral tranquility. They set the bar rather high. In fact, the progression from Horn of Plenty, the home project of singer/songwriter Ed Droste, was so marked that it was initially met with a high level of disbelief. There’s a strong emphasis on the word task because Grizzly Bear approach their compositions with the same self-reverential cleverness of an auteur. Veckatimest was testament of a band breaking away from their coy and unobtrusive behavior, an impeccably arranged effort that scored them an unexpected hit and a wider audience. With an interlocked vocal harmony that was impossible to ignore, not to mention a plinking piano chord and palpating beat reminiscent of Jay Z’s Hard Knock Life, Two Weeks had all the necessary elements to achieve crossover appeal. Nevertheless, Veckatimest mostly veered between grand moments of arbitrary orchestration and rusted-sounding guitar simplicity. It took a more song-oriented approach, slightly deviating from their experimental path without relegating their fondness to shape their songs in interesting ways. 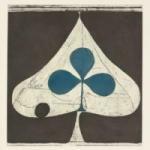 Since it’s now proven that all the members in Grizzly Bear have excelled at their own individual projects, the theme of collaboration has suddenly taken the center as the defining attribute of Shields. And there’s a truth to that – the storm shutter-breaking surge of Sleeping Ute has Rossen’s knotty progressions all over it before it pacifies into a trickling acoustic melody that dusts out all the shattered remains. Rossen has his brief moment in the spotlight before Droste takes charge in album centerpiece Yet Again, dripping his honey-glazed vocals over Rossen’s rippling guitar crunch before it turns itself inside out with a cataclysmic finale. Both these tracks surprisingly illustrate a beefed up Grrizly Bear, poised to crank up the decibels under the most basic instrumental set-up instead of communicating with a flowery flair. It also sets the tone for The Hunt, an ominous dirge that imbues an aura of inscrutability with its plodding dissonant pings and shearing chord changes. For better or worse, the second half of Shields draws out some of Grizzly Bear’s most creative urges while struggling to temper their worst indulgences. It’s easy to instantly fall in love with lighthearted stomper A Simple Answer, in which they are in a mission to illuminate hope for a fading relationship by strangely associating longevity with the perseverance of a saint. It’s hard to exactly tell, as Grizzly Bear have repeated this very subject in the past with the same use of stilted poetry. What’s Wrong is a welcome palate cleanser after Answer, in which the boys skillfully move into brassy jazz by keeping it restrained and minimal. Gun-Shy is a sun-dappled burst of rustic splendor, with a pointed Stephen Stills wah wah effect and its mystical sideshow chorus taken straight out of the seventies counterculture. Whether bare or dazzled, Grizzly Bear are always ones to make one last grand gesture. So it’s no surprise that Sun in Your Eyes ends true to form – featuring Droste’s vocals alongside a barren piano, it is a commendable example of their talent to build from a soft, pensive mood to a rousing climax through a leisured layering of elements once the instrumental break comes along. Grizzly Bear’s current stature as one of rock’s most important bands surely wasn’t accidental, seeing as they challenge themselves to achieve flawlessness inside a constituency that is rife with slapdash imperfection. The hard work they put into Shields deserves recognition, even if it occasionally strikes as too labored and considered. Yellow House brought to life a singular statement that possibly came too early into their career, one that will never be fully realized at the expense of sounding more technically elegant. Shields is undeniably tuneful, and you could even say that it’s the perfect record to build that swelling momentum, but it’s also detached and emotionally destitute.